Rubies are used for purchasing limited equips, consumable items, materials, pet eggs and other in-game items that you can only get from the Cash Shop. Normally, you can get Rubies by spending real cash, but for free users, you can earn them through Daily Spins! The Daily Spin is your main source of Rubies if you don't want to spend some "Real Cash" for this game. It's free, but the bonus rewards are random, and it will take some time to get the number of pieces you need. Refer below to learn more. chance is the Siegfried's Token, around 50% chance while Rubies can be obtained around 25% chance. 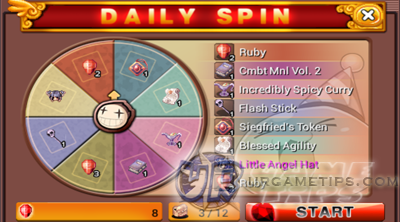 - Note that the Daily Spin items changes after some time. discounted or promotional items to get the best deals! - If you haven't noticed it yet, you can actually spin the Daily Spin 3 times per day! characters) that will farm Rubies. Your 3 characters will share the total number of Rubies you currently have in your account. Do this every day to maximize your chances. or players with trusted friends or persons. - Create a Ruby farmer account/s then use them to collect Rubies from Daily Spins. using 2 devices or through a trusted friend or person. 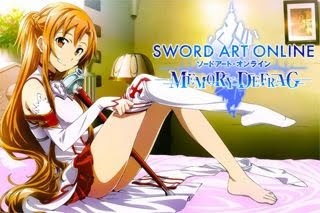 enter and join the fight against the dungeon bosses. If the boss monster is defeated within the allowed time, all players will be rewarded and the players that applied the most damage will receive bonus Ruby rewards. - Dungeon opens for 20 minutes every day (time will be announced). - Talk to Dwarf Master NPC at Lan Forta to enter the dungeon. - Reward ranks determined by amount of damage done to boss.